Ravenhill Victory once again has straws available. If you want high producing long lasting cows then Ravenhill Victory is a sire to consider. This son of Rosehill Vitality has predictions of 476kg of milk and a PLI rating of £338. It is also intresting to note that alongside this great prediction for production he is also a positive fat % sire.. 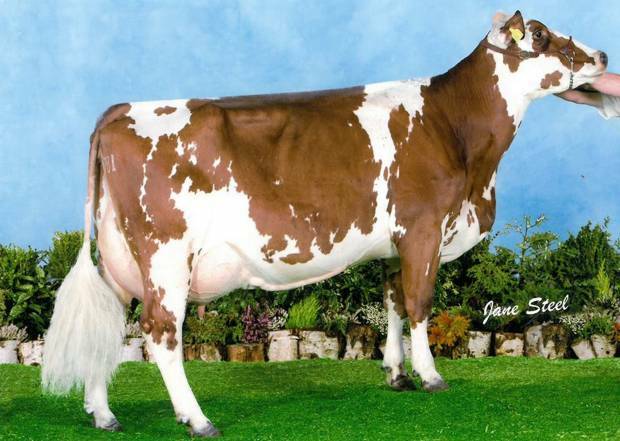 He is also bred from one of the best cow families in the UK, the Ethel family at Ravenhill. Both his dam and grand dam are high production cows. Victory has straws available for world wide distribution.